Ho ho ho! That’s a lot of snow! 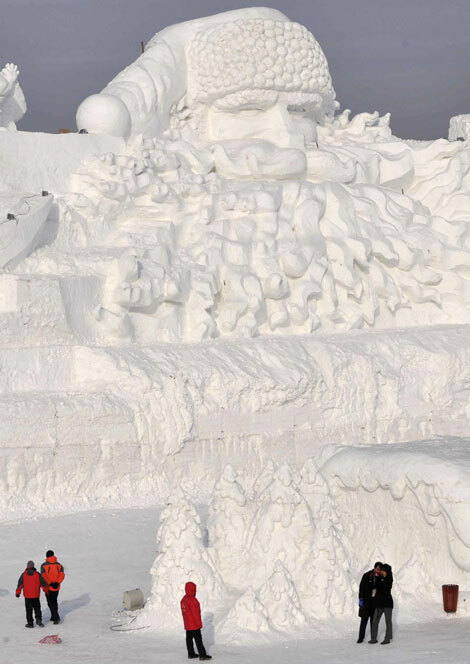 A massive 160 meter long and 24 meter high Santa Claus has been sculpted out of ice in China’s northern city of Harbin. The sculpture is said to be the largest ice Santa in the world, complete with beard and hat. December 25, 2008 Posted by oldstersview | Art for sure	| snow man, Snow Santa | Comments Off on Ho ho ho! That’s a lot of snow!